Amazing Home In The City! Steps To Woodbine Subway Station. Wonderful Detached 2.5 Storey Family Home. Soaring 3rd Floor High Ceilings, Parking, Amazing Deep 163 Ft Lot, Finished Bsmt W/Sep Entry And 2nd Kitchen. Fantastic 3rd Flr Master W/3 Skylights. Incredible Backyard With Large Deck And Shed. Very Quiet Neighbourhood And No Houses Across The Street. Beautiful 2 Bedroom, 2 Bath Condo With The Best Floor Plan. Kitchen With B/I Stainless Steel Appliances And Granite Counter. Comes With Parking And Locker. Stunning 3 Year Old Custom Detached Home. Amazing Layout Features Open Concept Main Floor And Tons Of Room For The Whole Family. 4 Bedrooms! 5 Washrooms Plus A Beautifully Finished Basement. The Icing On The Cake Is The 3rd Level Master Bedroom Retreat Complete With 4 Piece Ensuite And Secluded Covered Patio. Located In Desirable Danforth Neighbourhood. Steps To Subway, Parks And Shopping. 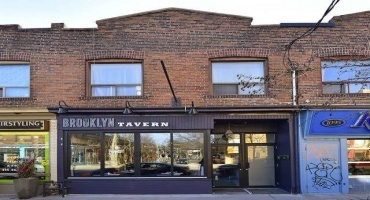 Incredible Investment Opportunity To Buy A Mixed-Use Building In Prime Leslieville On Queen East! 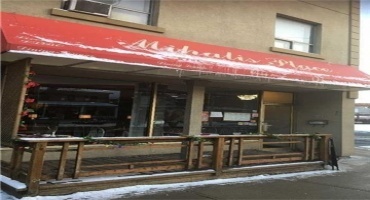 Successful Restaurant Operating On Main Floor/Basement With A 2 Bedroom Apartment On 2nd Floor. 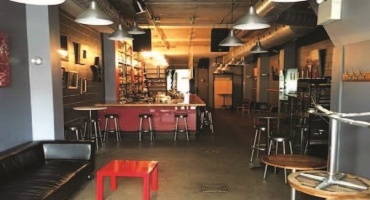 Restaurant Approaching Negotiation Of Rent Terms On Lease Extension & Apartment Can Be Vacant Upon Closing To Allow Market Rent To Be Realized. One Of A Kind Opportunity To Start Making More Money Business/Clientele Ready. Prestige Family Restaurant (Greek-Town) Has Been Successfully Running For 20Yrs (Financials Available Only For Serious Buyers) Broadview Stn Across The Street. Busy Area Full Of People Walking, Driving & Coming Out From The Subway, Clinics, Offices, Churches, Located Beside It. Great Location ! 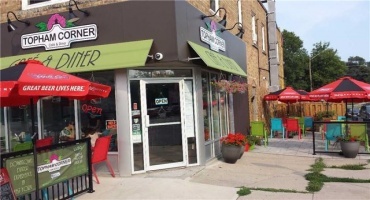 Excellent Opportunity To Own A Well Established Caribbean Fast Food Take-Out Restaurant In Toronto. Same Owner For Over 12 Years. High Traffic Area ! Low Low Rent ! Great Clientele ! Lots Of Walking Traffic. Bar/Lounge/Nightclub Now Available On Queen St East. Transferable Liquor License For 140 Inside & 25 On Back Patio. Super Prime Retail Investment Opportunity For Sale! 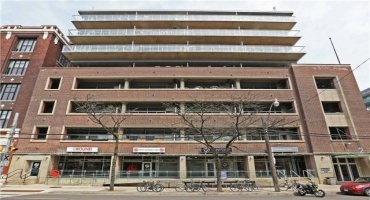 Located In The Heart Of The Beaches Retail Node. An Incredible 91 Foot Frontage On Highly Sought After Queen St. E! Excellent Tenants With Quality Upside Plus A Tremendous Vacant Corner Unit, Suitable For Investor To Rent Out Or End User! Includes 4 Surface Parking Spots And 2 Underground Spots. Location! Location ! 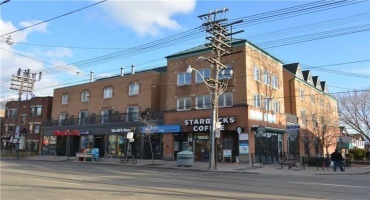 Prime Broadview/Gerrard Store W/2 Apartments(Leased) Store Vacant. 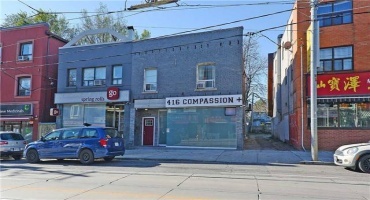 High Pedestrian Count, Live And Work Or Investment Property .Great Exposure 25Ft Frontage.Updated Large Windows At Store Level, Lots Of Light. Parking Out Front (Meter Parking), Parking Back Of Property (Paid Parking). This 1450 Sq. 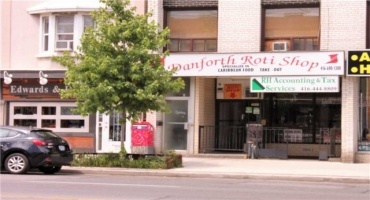 Ft Fully Equipped Restaurant Is Located In East York Area. It Is Nicely Decorated With Pleasant Atmosphere And Great Clientele. The Restaurant Is Licensed Under L.L.B.O For 54 Seats Inside, And 55 Seats On The Two Patios. Finished Basement With An Office And Lots Of Storage. Low Rent, Long Lease. For More Information Please Call. All Appointments Through Listing Brokerage. 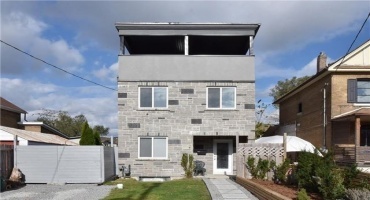 Industrial Condo, New Renovation, Diamond Polished Epoxy Floors, Mezzanine With Hardwood Floor, New Full Kitchen Includes New Stainless Steel Appliances, New Washroom With Shower And New Washer/Dryer, New Lighting. Industrial Style Steel Staircase To Mezzanine Loft. Two Ground Floor Retail / Office Condo Units In The Heart Of Leslieville At The Garment Factory! 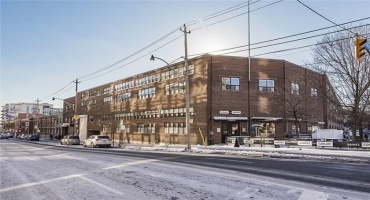 Unit #13: 1,316 Sf Unit + 277 Sf Patio, Over 44 Feet Of Glass Frontage On Carlaw Avenue With Fitness Use Tenant, Two Entrance Doors, Two Large Back-Lit Sign Boxes & Epoxy-Polished Concrete Floors.